The year of mobile – we’ve heard this phrase proclaimed every January for the past couple of years, followed by dizzying amounts of variations and extensions such as the year of mobile commerce and the year of the mobile marketing. And true enough, the numbers are very telling. A recent study has found that the average human being spends 90 minutes a day on their phone – that’s a full 23 days a year or 3.9 years of the average life! Mobile shopping has officially overtaken desktop, and 50% of people reportedly no longer wear a watch as they say their mobile phone is more than adequate for telling the time. Regardless of which year we settle on as the summit of mobile dominance, it’s clear that we are now firmly within a mobile, digital age. The year of mobile health? I’m going to jump on the ‘year of the mobile’ bandwagon here and suggest (perhaps a bit optimistically, but bear with me!) 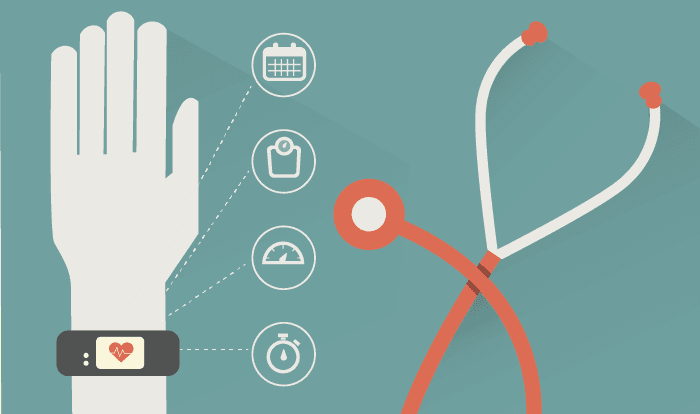 that 2016 will be the year of mobile health, or mHealth if you want to be cool about it. Mobile health technology is ‘the fastest growing sector of one of the fastest growing markets in the world’ according to The Atlantic. The connected mobile healthcare market is set to be worth £37bn by 2020, and it has been projected that the UK share of the market could be worth almost £2bn – around 5% of the total. 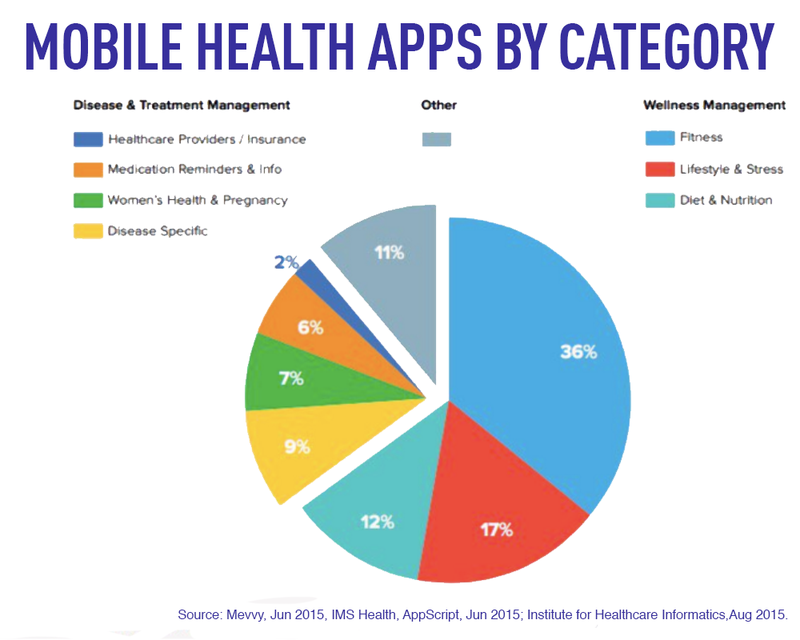 Reflecting this, there are currently 165,000 health-related apps on the market. The rise of wearable technology alongside them has received a lot of coverage and discussion recently, particularly regarding the ways in which it can benefit our health through encouraging us to eat well and stay active. But can an app a day keep the doctor away? It’s beginning to look that way! A report on mobile health conducted by The Economist found that 64% of healthcare executives say mobile health could dramatically improve outcomes by giving people greater access to medical information, and an even greater 79% of healthcare professionals say that mobile technologies are providing education and information. Naturally, however, there are concerns regarding medical app regulations and data privacy issues. An impressive 70% of people use mobile apps on a daily basis to monitor health-related activities such as calorie intake and exercise, but only 40% are willing to share such valuable data with their doctor. Thankfully, these concerns are being addressed swiftly enough that they hopefully won’t hinder the progress of mobile health. Following a consultation in 2014 that found two of the barriers to digital health app adoption were the privacy issues and security of health data, the European Commission has formed a working group that will create guidelines to evaluate the accuracy and reliability of health app data. The ultimate goal is to create a trustworthy mobile health service, one in which we feel comfortable sharing out personal and private information. It’s not just our wearable fitness trackers that gather data about us, of course – our mobile phones are also highly effective, and often underestimated, data collection devices. The amount of data being collected by devices and smartphones is increasing at an exponential rate and is only going to continue to grow. Every day there are more mobile phones sold than babies born. The challenge, therefore, will be how we use that data to tackle issues surrounding our health. Sequencing a human genome, for example, used to take years to achieve. It now takes less than a week. A cardiovascular study in America that tested the distance walked in a specified time period enlisted 6,000 people in just the first two weeks – 40,000 people within four months. The reason that such high numbers can be achieved is that millions use smartphones and fitness trackers with sensors that can record all sorts of physical activity, and this data can be easily shared. In Malawi, a project called Action Meningitis is harnessing the connectivity and reach of smartphones to provide earlier diagnoses and decrease the number of preventable deaths. Incredible large-scale projects such as the 100,000 Genomes Project – currently sequencing 100,000 genomes from around 70,000 people – are now possible, and are helping scientists find cures for obscure and devastating diseases by studying the genetic composition of a huge group of people. Amazingly, the first children with debilitating “mystery” diseases are finally receiving accurate diagnoses as part of this scheme to analyse great amounts of people’s DNA data. By escalating studies and research to include data points gleaned from millions of people, scientists can uncover valuable knowledge that will greatly advance the cause of preventive medicine. We can see, therefore, that mobile and digital technology are already creating waves within the huge and often slow-moving healthcare industry, and it would seem that I’m not alone in championing the progress of mobile health – it features as one of Healthcare IT News’ six predictions for 2016 as well, and is undoubtedly swimming at the front of many bright minds with the power to influence its progress. It has even been suggested that mobile technology ‘is perhaps one of the greatest developments in preventive care ever.’ The thought of what mobile health has to offer in 2016 is an exciting one.